Leslie Warren, Chairman of the Northern Ireland branch of the Association for Project Management, outlines the importance of professional project management in delivering beneficial change in the public sector and looks to the association’s vision of a world in which all projects succeed. The success in delivering recent high-profile projects such as the Olympic Games, and locally Titanic Belfast, has highlighted the significance of professional project management and the benefits it delivers to society. However, these successes hide the fact that many projects fail to meet their objectives. There have been some significant failures, including the £12.7 billion NHS National Programme for IT in England. Yet many projects do deliver beneficial change in a world of increasing complexity. With increased scrunity on maximising value from tighter funds available, the public sector is now focused on increasing the likelihood of project success. Project management professionalism amongst all those involved lies at the heart of the solution. The Association for Project Management (APM) is dedicated to the development of project, programme and portfolio management by raising the bar of project professionalism across the public sector in Northern Ireland. Practitioners who invest in developing their own skills and competence signal their commitment to APM’s ambitious vision of creating a world in which all projects succeed. In Great Britain, the Department for Work and Pensions for example has adopted APM’s Competence Framework as well as APM’s suite of qualifications as the backbone in the development of its project and programme managers. Impetus for this came from the creation of the Major Projects Authority whose aim is to bring about the successful delivery of major projects across central government and to work with departments to build professional project management capability. The Association for Project Management supports professional values. Five dimensions provide a framework that help managers develop a career in project management. The five dimensions are: breadth of knowledge; depth of expertise; recognising achievement, including qualifications; commitment to professional development; and accountability and professionalism. APM has several hundred individual members in Northern Ireland across a wide range of industries and organisations. 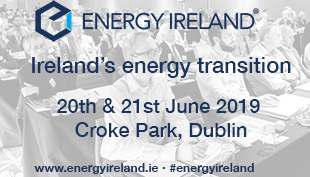 In addition, corporate members of APM in Northern Ireland include the Central Procurement Directorate, within the Department of Finance and Personnel, the Northern Ireland Housing Executive, IT Assist (ICS), Thales and Translink. Working through its NI branch, APM offers locally-based professional development seminars as well as an annual conference for its members. These provide regular opportunities for members to share best practice and network with fellow PMs. Acting as a voice for the profession here the NI branch seeks to build understanding of the value its members generate to the economy and society as a whole. 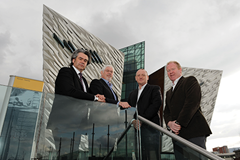 Titanic Belfast Project Managers were APM corporate member EC Harris who along with Harcourt Developments were responsible for delivering the project on time and to budget. 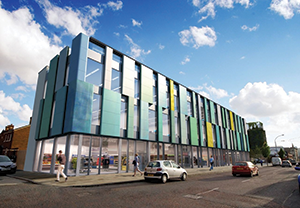 Skainos is a new build community-led development on the Lower Newtownards Road Belfast. This project delivered the space to host a range of community services. The £16 million project was completed in October 2012. The innovative project provides social and affordable housing, community facilities, retail and commercial space, a day nursery, a café and a new church. The community areas comprise an auditorium, offices, a family centre, a community hall, facilities for Age Concern and educational facilities for Belfast Metropolitan College. The project was designed by an integrated design team led by the Belfast-based firm of Donnelly O’Neill Architects, which was the appointed architect and lead consultant. Sheils Flynn provided landscape architectural design services through Donnelly O’Neill. The project was managed by APM Corporate Member URS Scott Wilson.